Chronic pain is one of many invisible disabilities - invisible, that is, unless you suffer from it, or are close with someone who does. The statistics are quite bad; according to the Chronic Pain health report from Arthritis New Zealand, as many as one in six New Zealanders will suffer some kind of chronic pain in their lives. Some of it is permanent, some of it is debilitating. Some of it reshapes your life and you have to find new ways to live in order to survive it. 'Etched in Pain' was a session at the Auckland Writers Festivalopens a new window where two New Zealand authors, both who suffer from chronic pain, came together to talk about their pain and their inspiration to write about it. Deborah Shepardopens a new window began to write when a friend handed her a journal. She had just had surgery for her sciatica and was in severe post-surgical pain, but line by line, day by day, she began to "write through the fog" of pain till she had the start of her book, Giving Yourself to Lifeopens a new window. 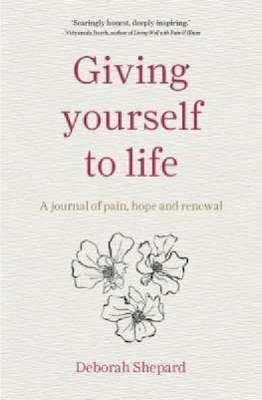 Written in diary form, Giving Yourself To Live goes back and forth between now and the past, telling the story of her growing up in Christchurch, losing family members when she was very young, the earthquake and the years that followed, and how through all of it she was compelled to write to stay alive. Deborah spoke softly, gracefully, her words gentle. Writing was also about regaining something personal from her childhood. We grow up into a noisy world; we take on so many responsibilities; we forget to stop and look at the world; we're too busy. The pain made her step back into something quiet, and she likes that quiet. Stephanie de Montalkopens a new window, who has written several poetry books, comes to us now with How Does It Hurtopens a new window, her creative writing thesis that explores her own pain as well as the relationship between writing and pain in our literary history. Both writers stood at podiums, which "you'll understand if you know anything about back pain," as sitting can be so painful. The podiums served a dual purpose - they made the invisible pain visible. It made me think a little more about how chronic pain makes you reshape the world around you to make it livable, physically, as well as spiritually. And sometimes it isn't possible to change the physical world enough to make the pain bearable, and that's where art comes in. Chronic pain has been a part of art history for a very long time. "If I can only work - it has saved me always - saved me through the most miserable times." 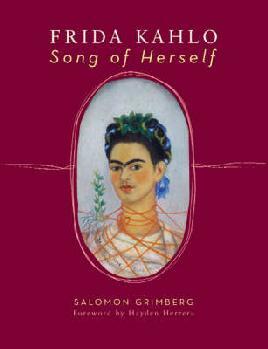 Frida Kahlo started painting in pain, her life was marred by it from the age of six, when she contracted polio, followed when she was in her twenties by a terrible car accident that broke her spine in several places. She never recovered from this, despite over thirty surgeries, and suffered chronic pain which she expressed through her art for the rest of her life. 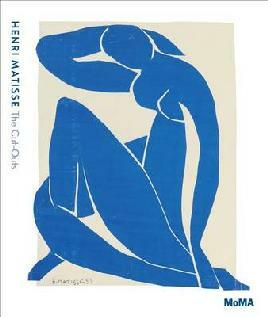 Matisse, too, suffered chronic pain as well as recurrent panic attacks. Art pulled him through even as he was bedridden with cancer pain. His art changed after his illness, but he felt that his illness had allowed him to liberate his true self. The writer Stephen King talks about writing through the pain after his car accident in his book On Writingopens a new window. Writing helped him forget himself, and separated him from his pain. Deborah spoke about the importance of survival writing. "I understood the true meaning of invalid when I wasn't writing. I felt invalid. Writing nourished me." She spoke of the importance of finding a method appropriate to your own self to help ease your distress. Writing gave her a focused mind, provided an opportunity to pause and reflect on her priorities, love and friendship and kindness. She wanted a book about people plowing through, living side by side with the pain, and though she felt quite vulnerable putting her personal account out there, she is pleased she did, and has almost finished the draft of her second novel. Stephanie's pain was something else, caused by a fall in 2003, her injury so rare and obscure that only three surgeons in the world were diagnosing it, and all their medical investigation proved fruitless. Stephanie talked about the invisibility of chronic pain, how friends doubted her pain because they could not see it, and the overriding assumption that chronic pain is mild. Her pain led to a sense of social isolation; all around her understanding and empathy were limited in a society that demanded stoicism. "Someone needed to stand up and say something." This sense of isolation led her to seek out other peoples lived experiences, to validate herself and other sufferers and somehow ease the exile. The literature's contemplation of permanent pain was marginal; there were plenty of self help books and books written by doctors but few written by people who were suffering the same way Stephanie was. No professionally written book has helped her. And though there are plenty of fictional accounts of characters suffering, the problem is that the narrative seems to demand that in the end, they recover. What Stephanie found as she delved further into research was that chronic pain is silently reaching epidemic proportions. Silent, because would anyone other than a sufferer want to read their stories, to really understand? She wondered if writing a memoir of her own pain could really do the subject justice; chronic pain has many complex and diverse faces, everyone suffers individually. Besides, there would be no straightforward narrative, because it wouldn't be a recovery story. But she continued to write, even though she had to write lying down, sometimes through a haze of pain medication, and fatigue. It had been seven years since her fall, but the emotional and social impact of long term pain needed to be acknowledged somewhere. "Someone needed to stand up and say something" became "I needed to stand up and say something." Stephanie then read an excerpt from 'How Does it Hurt?' on her thoughts before surgery, and then there was some time for questions. "Is there release from the pain in writing?" one audience member asked. After a moment of thought, Deborah spoke: "Yes, there is a moment of release from the pain." She also spoke about how steady routines, especially those involving her garden and nature, did help her stay peaceful in the midst of rasping pain. Stephanie's answer was more blunt: "No. The pain is always there. I am pushing back against pain constantly." There was no relief, but there was some easement at the sight of a book. The thought that she was looking at carefully chosen words on a page would help, a little, with the pain. After questions, a representative from Unity Books stood to present Stephanie de Montalk with the Nigel Cox awardopens a new window for her book How Does It Hurt, to great applause from the audience. These women were two of the strongest people I met at the festival, and I really admire them. Few people in history have ever said that writing is easy, and writing through constant pain must, I can only imagine, be another level of difficulty altogether. Congratulations to them both for their achievements, and I am sure that their contributions will help ease, if not the pain, then perhaps a little of the isolation suffered by so many among us. Search our catalogue for books on chronic painopens a new window. Other biographies about chronic painopens a new window. Read the 2012 Chronic Pain Health Reportopens a new window, from Pfizer and Arthritis New Zealand. KidsHealth page on chronic painopens a new window explained for kids and teens. Find health information in our Health and Medicine EResourcesopens a new window. Read other posts from the Auckland Writers Festivalopens a new window.